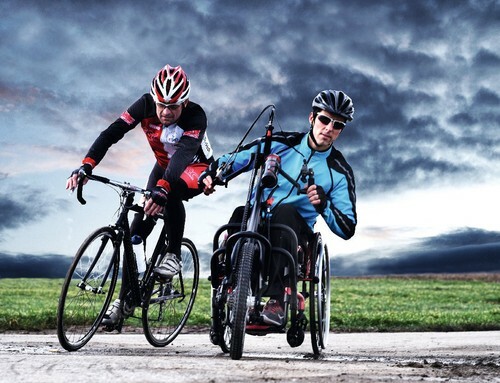 New Year's Resolutions For Wheelchair Users | Custom Mobility Inc.
For many, the new year is a time to invest in change. At large, people often make resolutions to get in better shape, be more productive at work, spend more time with family, etc. For people with disabilities, our resolutions can certainly share some of these qualities; however, they might also look a bit different. Maybe we’ll vow to keep a more deliberate schedule, regarding proper wheelchair maintenance. Some may seek to invest more time with political endeavors, advocating for increased access to mobility equipment. Whatever your goals may be for 2018, let’s begin the process together, and make sure that we achieve them. While this goal may seem a bit obvious to an able-bodied audience, keeping up with wheelchair maintenance may serve as a daunting task. It can easily become a proverbial thorn in your side. 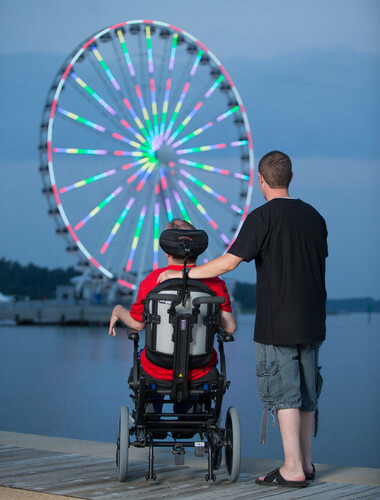 Maybe it’s a pain to schedule an accessible vehicle to take you to and from your wheelchair, service provider; maybe you’re too busy, and can’t seem to make time in your schedule; or maybe you’re scared that wheelchair repairs will be too expensive for your budget. 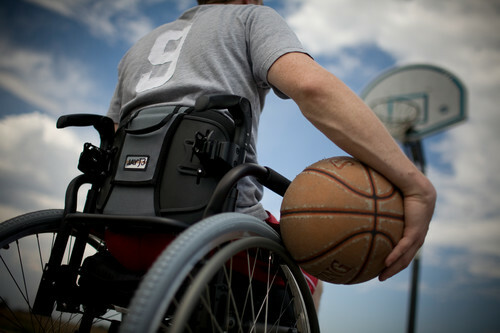 Whatever reason you may have, it is very important to maintain the quality of your wheelchair. After all, you rely on it. So do I. Different options may be available to you, in regards to your wheelchair’s maintenance. Your service provider might be able to send a service technician to your home. Insurance and government aid may pay more than you anticipated, leaving you to pay little-to-nothing, out-of-pocket. Whatever the case may be, your chair will always need maintenance. And while it may feel taxing to buckle down and schedule that appointment, putting it off will only serve to hurt you, in the long run. It’s easy for anybody to get stuck in a routine. They’re comfortable and safe. This becomes problematic, because life does not always end up this way. I speak from experiencing when I say that this path is alluring. Challenge yourself to improve at work. Ask your superiors meaningful questions, ask to be placed on important projects, and meet deadlines with determined punctuality. If your disability or impairment impacts productivity, be forward-thinking. Approach your superior, offer a solution that you’ve concocted, or discover a solution, together. As a wheelchair user, I constantly worry about accessibility. I was invited to a friend’s house. Can I get through the front door of her house? Some friends invite me to dinner. Does the restaurant have an accessible restroom? While these worries represent real issues, they can also be polarizing. We need to be careful that fear doesn’t scare us into complacency. Be more proactive, on the social front. Instead of waiting for an invite from friends, take the initiative to plan gatherings. This action will not only show that you care, but will give you the ability to subtly pick an accessible location for your hang out. Maybe you have difficulty making friends. Get out of the house, even if it means going by yourself, with a caregiver, or with a family member. Try to interact with new people. Who knows, maybe you’ll meet some new friends, or the romantic partner of your dreams. What I do know, is that if you don’t put yourself out there, you’ll never know. Bucket lists are cliché, and usually reserved for people who know that they will leave this Earth, soon. Let’s take a less-dramatic approach. You don’t need to be at such a crossroads, to do something that you’ve always wanted. Maybe you’ve held back, because you believe that your desired activity is inaccessible. Though our disabilities and impairments limit us in real ways, only research will inform us whether these activities are truly accessible. If you’re a thrill seeker, maybe you’ve always wanted to go skydiving. A quick, Google search, pointed me to a facility, experienced in offering skydiving for people with disabilities: http://startskydiving.com/skydiving-disabled/. I didn’t even know that such a thing existed. Such is the power of the Internet. Your desired activity doesn’t need to be as daring as skydiving. You might want to broaden your culinary horizons, and try Indian food for the first time. Visit that comic book shop you always pass on your way home from work, but have never been in. Go to a local, video game or strategy game tournament, and meet people who share your nerdy interests. If you’re nervous of others’ perceptions of you, as a person with a disability, my experiences have shown that people can be more welcoming than you would give them credit for. Gamers on The Edge, which I’ve written about in a previous post, serves as a great example: https://www.facebook.com/gamersontheedge/. These are merely a few examples of some New Year’s resolutions, which I’ve devised from my own experiences as a wheelchair user. Feel free to adopt them as your own, or use them as a springboard to come up with new resolutions. Whatever you decide on, stick to it! If you seek to elicit change in the new year, let that determination catapult you into action.